For the last thirty-plus years Hank Alrich has been living in the woods outside of Greenville CA, raising a family, writing songs, and playing professionally near home. He now splits his time between his mountain home and his old stomping grounds in the Austin TX music scene. Hank is a versatile guitarist and composer, a compelling singer, and a very engaging performer. 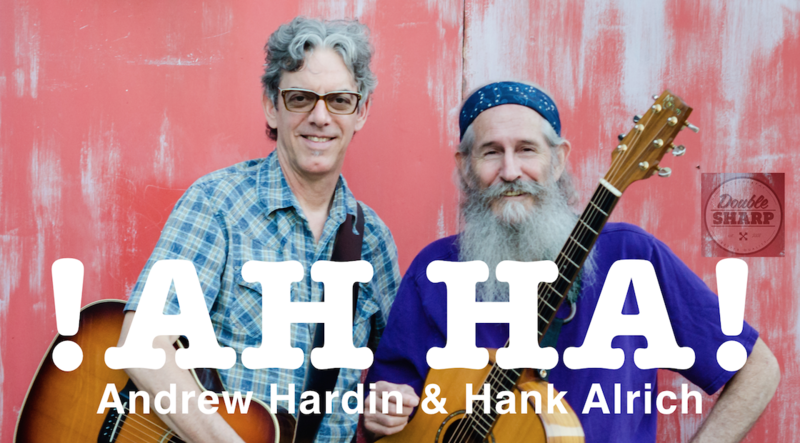 His foremost current project is !AH HA!, with the renowned guitarist Andrew Hardin. A dangerous man with a guitar in his hands, highly regarded by his peers, Andrew has performed on and produced hundreds of albums during a ongoing career spanning more than four decades . He lives outside of Wimberley TX, where his own songs take root, and where he is a passionate and articulate spokesman for and activist on behalf of both his community and our planet.